Climbs in the Western U.S. and European Alps. Ski descents in the Wasatch and Tetons. 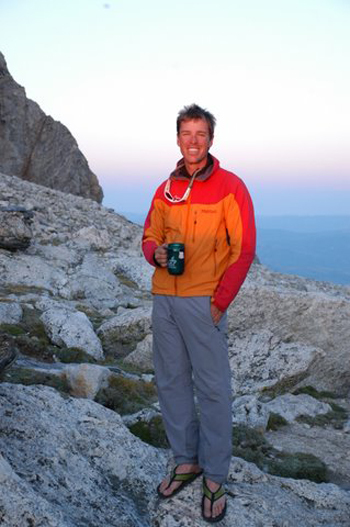 Ski guide, rock guide, and avalanche course instructor for Utah Mountain Adventures. AIARE certified avalanche course instructor. Ski guide for the Interconnect Ski Tour in the Wasatch. Chairlift and high angle evacuation and rescue technician, providing training with specialized equipment from Zip Rescue and Petzl for rescue professionals on gondolas and cableways in U.S., Europe, and Asia. Facilitator of outdoor leadership challenges for Park City Teamworks. Advisor and guide for Winter at Westminster education program. Brian first moved to the Tetons in 1990. Referred to as the “summer of Love” (met his wife while employed at JLL), it was also the pivotal moment of his first summit in the Tetons… the Middle Teton, July 4. From that moment, destiny’s compass took a change of course, and Brian continues to share his passion and love for the Tetons with his clients, as well as his wife and son.